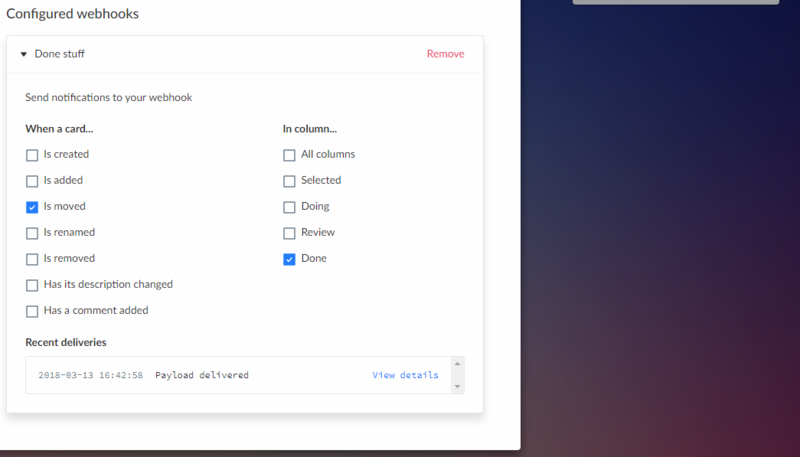 By setting up outgoing webhooks, you can get data out of Favro in real-time. This in turn can be used to present data in other services, integrate with other tools, or use our own API to manipulate data in Favro based on these webhooks. This particular webhook will notify an external reporting service whenever something is done, this is easily set up by configuring it for triggering when cards are moved to the done column. 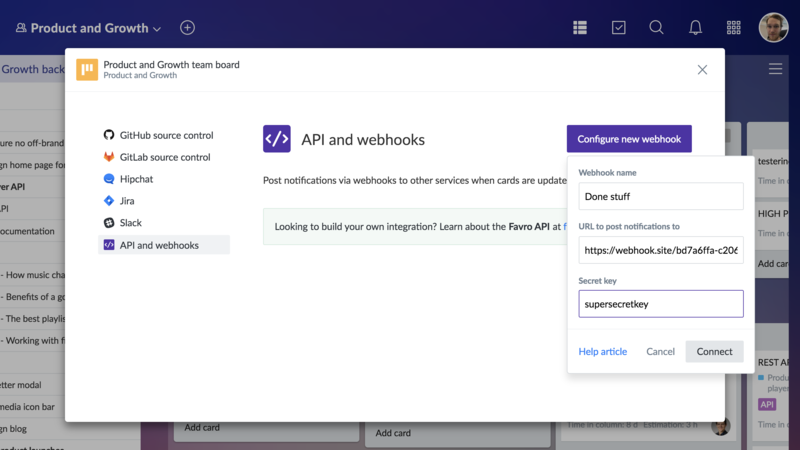 You can now use this data to build custom integrations with other solutions, or use our own API to send calls back to Favro, triggered by the webhooks.